right under our noses and it is protected by law. The Federal Reserve, in charge of our money in the United States, is a private banking cartel in partnership with the US Government. Their website states “The Federal Reserve System fulfills its public mission as an independent entity within government. It is not “owned” by anyone and is not a private, profit-making institution.” The is a NON-truth. They are not telling the American public the truth, and it would be wise of all Americans to learn the truth. The Fed exists for its own profit. The Fed was created in secrecy exactly 100 years ago in 2013 by the wealthy heads of private banking families. (read “The Creature from Jekyll Island by G. Edward Griffin). 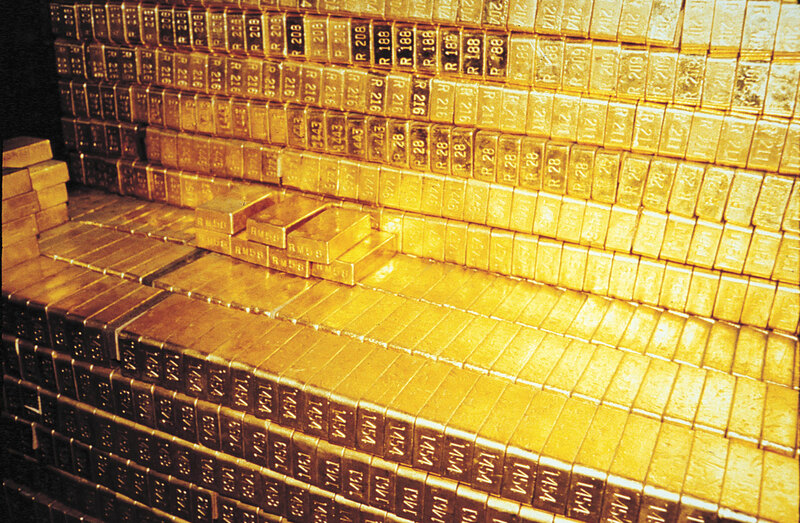 Prior to the Fed, all US Dollars were backed by gold. The “gold standard” was completely abolished by Nixon, leading us to a fiat money system. Prior to the creation of the Federal Reserve, our money system was controlled by our government. Our original founding US Constitution states, in Article 1, Section 8, “To coin Money, regulate the Value thereof, and of foreign Coin, and fix the Standard of Weights and Measures”; thus, it could be argued that this private banking cartel of the Federal Reserve is actually unconstitutional. The Fed can print as much money as it wants, buying up loans and making exorbitant profits on the interest; flooding the market with paper currency, creating hyperinflation, and thereby devaluing the dollar. 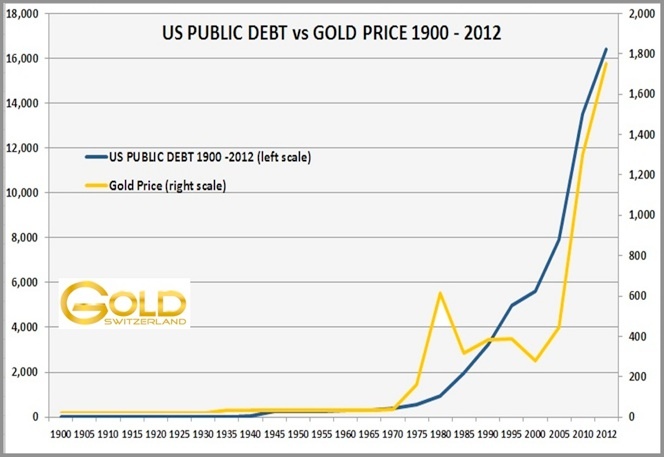 The price of gold will continue to go up as this continues to happen. Eventually, if paper money becomes worthless, the world will return to the gold standard and use gold and silver for trade instead of worthless paper money. Educate yourself on the world economic situation, the truth of The Federal Reserve, Worldwide Economic systems, and the continuing value of gold and silver. The price of gold rose from $300/oz. in 2000 to $1800/oz. in 2013. As The Federal Reserve continues to print money and pump it into the economy, inflation will go up, and so will the price of gold. When we reach a situation of hyperinflation, paper money will no longer be worth anything, and local and world economies will begin to trade in gold and silver. You hear on the news all the time about the US Govt budget deficit. But who do they owe? They owe The Federal Reserve private banking cartel of course. The system set up between the partnership of the Federal Reserve and the US Government is that the Fed prints unlimited amounts of money, and lends it to the US Government with interest, thus creating astronomical profits and creating the National Deficit. In 1913, in conjunction with the creation of The Federal Reserve, the 16th Amendment authorizing the income tax was ratified, thus creating a system where the American people fund the government’s borrowing from the Fed, with the government spending a large percentage of it on generating wars all over the earth and political campaigns. Article I, Section 8, Clause 5, of the United States Constitution provides that Congress shall have the power to coin money and regulate the value thereof and of any foreign coins. But that is not the case. The United States government has no power to issue money, control the flow of money, or to even distribute it – that belongs to a private corporation registered in the State of Delaware – the Federal Reserve Bank. Will you and your family eventually pay for the Fed’s bailout decisions?